Do you struggle to get comfortable on your pillow while you sleep? Whether you it's too soft, too hard, too warm, too cold, or just not quite the right size, finding the perfect pillow can be a nightmare. 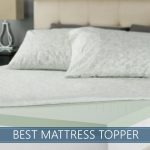 Following on from their acclaimed mattress, Casper has designed what they to be the ultimate pillow for everyone (see all our top pillow picks). But how well does it hold up? If you like lying flat on your stomach, it might not be for you. The cover is made of a beautiful percale weave, making sure the fibers don’t get out, and it stays quite cool throughout the night. However, it’s a dull color, but you'll likely put a case on it, so it shouldn't be a dealbreaker. In terms of support, it’s a nice mix of softness and strength – the inner core makes sure you don’t sink right through, whilst the outer fluff makes sure it’s still comfortable. This ‘best of both’ approach is great, but may not suit you if you prefer either extreme. This is an ongoing thing to note about the Casper pillow – it’s designed to suit everyone, but that means it might actually not suit you! However, there is a good chance it will as it is exceptionally good at maintaining its shape. This means that if it does suit you, it won’t drop overnight and leave you uncomfortable in the morning. The important thing to note is that there is a 100 day guarantee on the product – and with free delivery and returns, you could definitely test this out and send it back if it’s not for you as you’ve got nothing to lose. 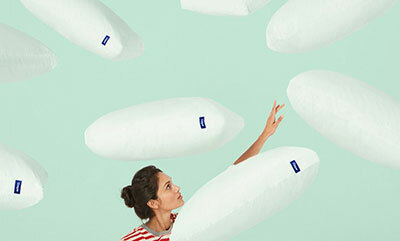 The Casper Pillow is made up of two pillows in one – a firm inner core, and a soft outer shell. This means you get the best of both worlds, getting a good amount of support without sacrificing comfort to do so. Lots of pillow sell themselves as being designed for a certain type of sleeper, but given how often we move around in our sleep this can lead to discomfort in the middle of the night. Instead, Casper approached the problem differently, designing a pillow that suits all styles – meaning you won’t wake up when you shift position! 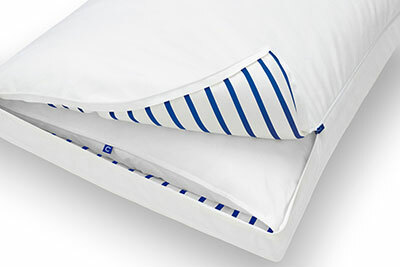 The outer covering is 100% cotton, and it’s woven in a particular style – percale. This means there’s a good amount of airflow possible, preventing the heat buildup that can happen with some pillows. Simply put, it means you’ll always be on the cool side of the pillow. Love pillows that stay cool all night? Here's our best “cold” pillows for 2019. 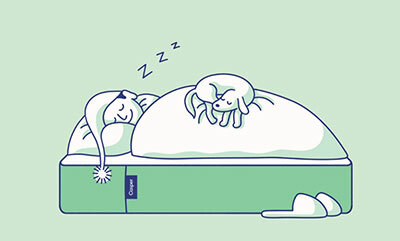 As mentioned, the Casper pillow is made up of two parts – and this makes it much easier to wash. You simply separate them out, put them both in the washing machine, dry them, and pop it back together. Much easier than trying to manage washing all the fluff at once. It’s a decent size, both height and width. The cost – it is quite a large investment! While I initially thought this was the greatest pillow I’ve ever had, I’ve recently come to terms with it being the culprit of severe neck and back pain. This is a high quality pillow. It’s not for me, unfortunately.